1. Pick four colors of StazOn Studio Glaze matching your project. 2. 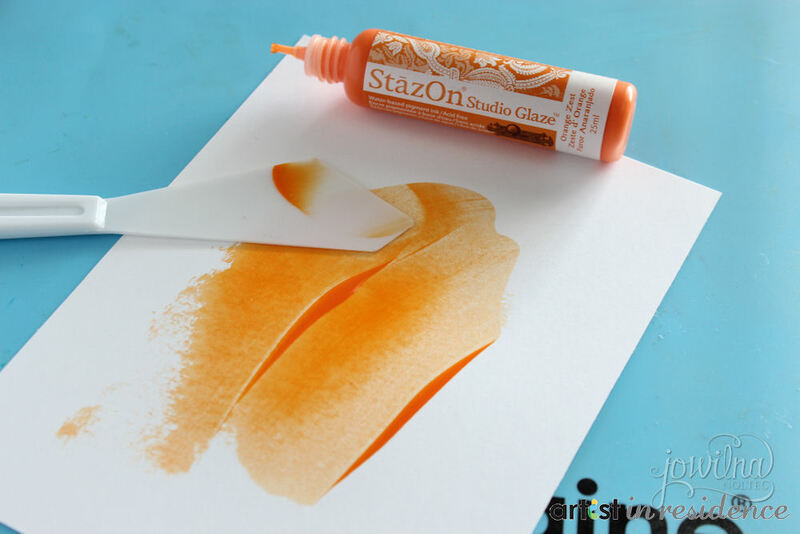 Spread one colour of Studio Glaze onto smooth white cardstock. 3. 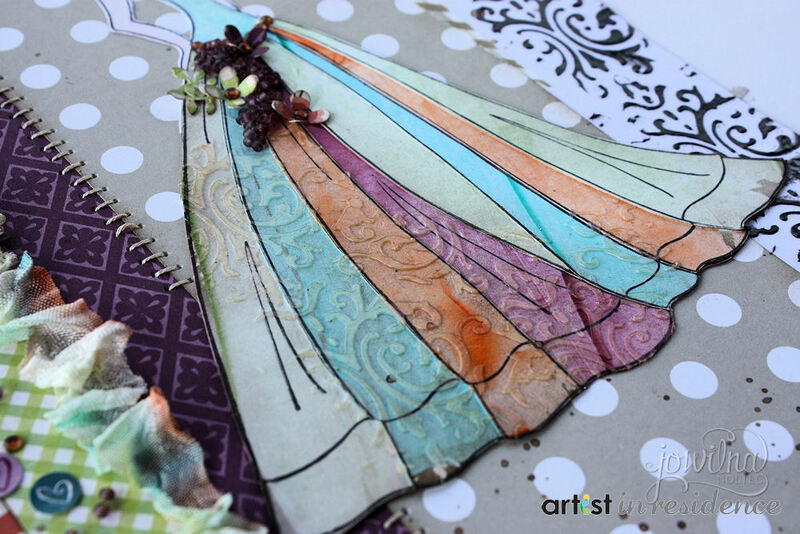 Stamp doll dress onto Studio Glaze colored cardstock pieces using Versafine Black. 4. Repeat with all four colours of coloured cardstock pieces. 5. Use one piece as the base to work on. Cut out sections of the other colors and adhere to the base piece to form multicolored dress. 6. 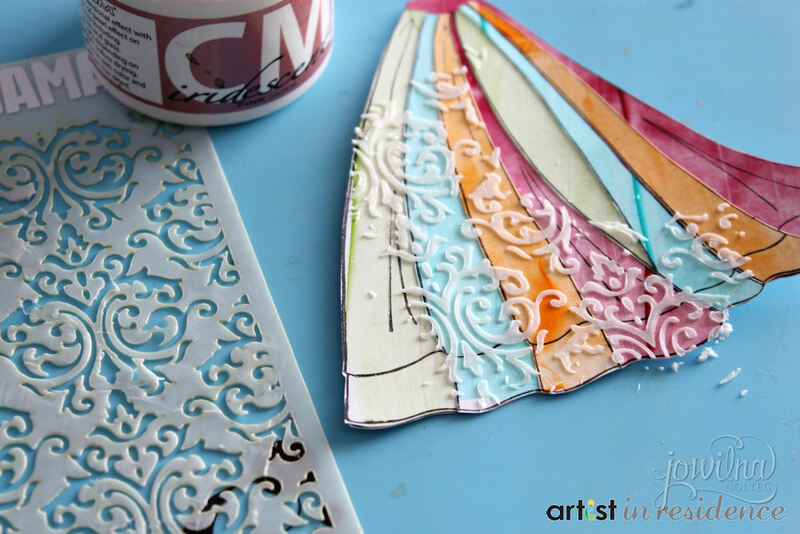 Use a stencil and add Creative Medium over part of the dress. 7. 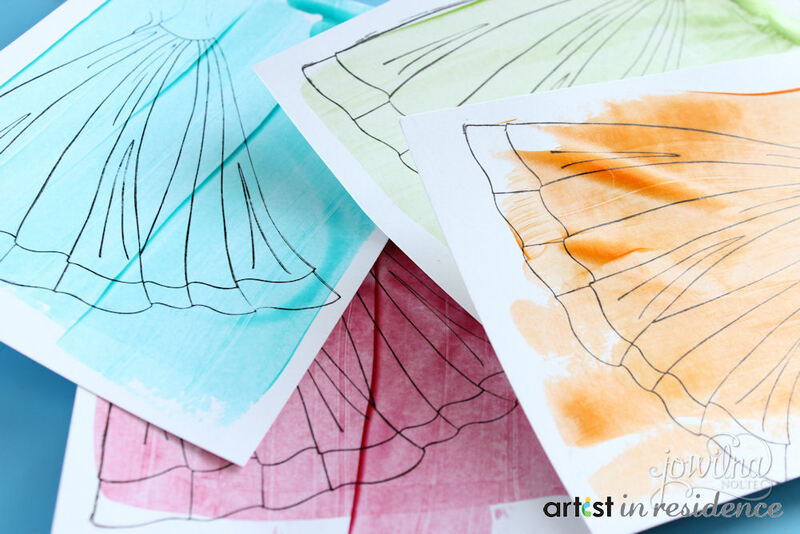 Leave the medium to dry before completing the dress. 8. 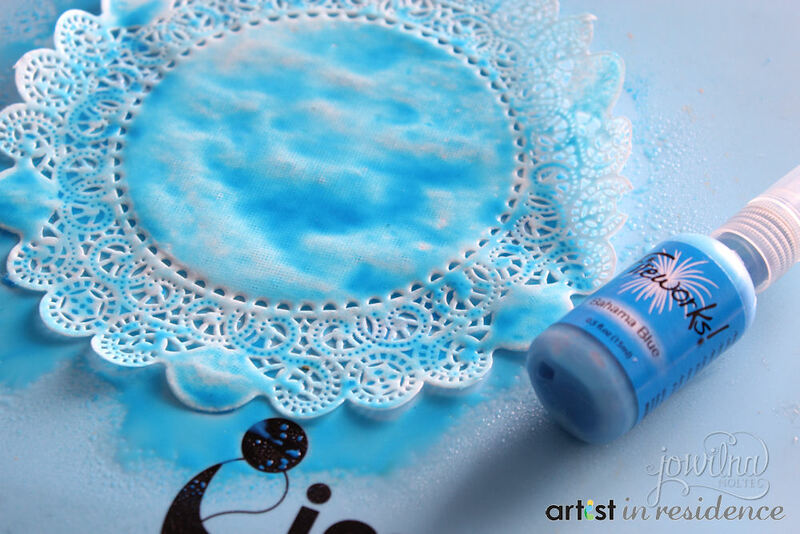 Mist paper doily with Fireworks and let dry. 9. Select matching fireworks colors to color seam binding ribbon. 10. 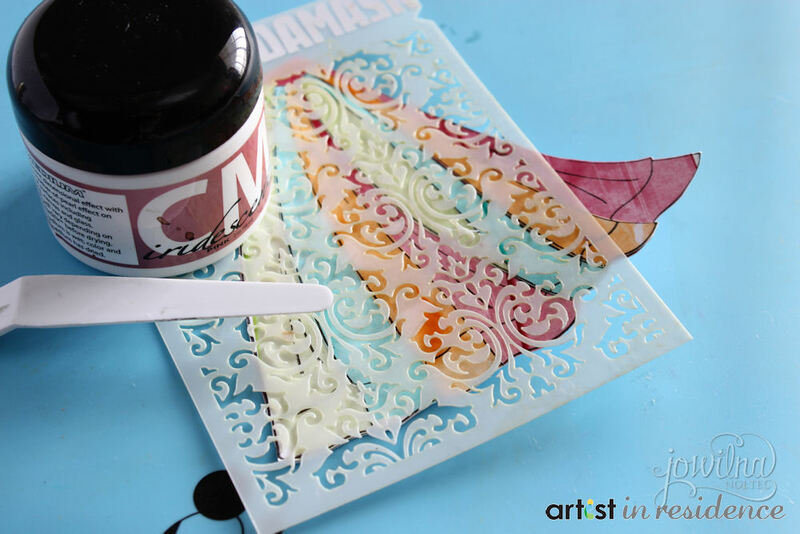 Mist all three colors onto craft mat and mist with water. Dip the ribbon sides into the ink. Unfold ribbon and mist with water. Leave to dry on Craft mat. Then arrange your scrapbook page as you'd like.